‘ubugi’ is Ceremony dress for Babies. It is universal wishes by the parents that baby would grow with good health and safety. There special significance in the Japanese wedding dress found also in the inner white kimono of the bridegroom. 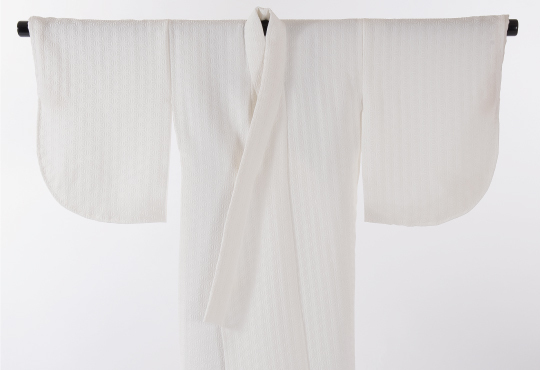 This significance of the inner white kimono is passed down from mother to baby as the baby will wear the white Ubugi.. The smooth, white silk protects the child from harm. The special back sewing called Senui, further protects the child from evil. The traditional practice called Sedetoshi is when the baby to puts her/his arms through the kimono, and the ubugi is worn for the first visitation to the shrine for praying for health and strength. This practice is from the Samurai period of the Heian era, in which the parents bring the baby when she/he becomes 20 days old, and visits aquaintances who live in a lucky direction. Another practice called “Osute ( thrown away):, or Hiroi (Pickup), means pretending the baby is not their own child in order to mislead evil. A long time ago, there were very rare cases in which the baby would grow very healthy and live long into old ages. Therefore, the family would make every effort to ward off evil through this practice and insure a long life for the child. With each thread, the parents pray for a healthy, long life and open the doors for the future. 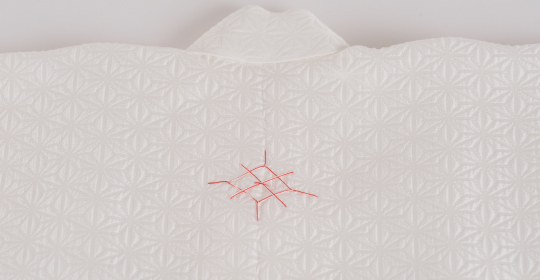 The first Kimono for the baby,Ubugi, is made by Japan made silk, making the material soft to the babys skin. It also absorbs perspiration and is allergy free. 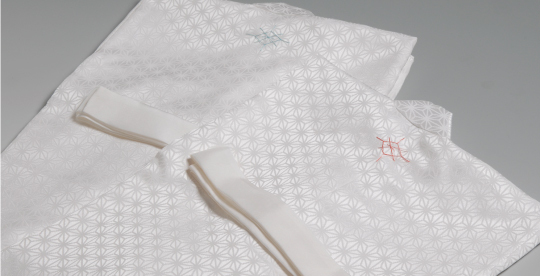 Japan made silk is the best material, providing the softest comfort feeling to your baby’ s precious skin. 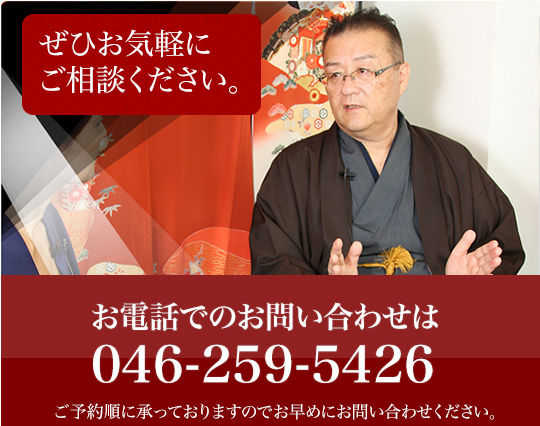 This renowned Kimono Grandmaster served and made the Kimonos to the Imperial Families. 1932-1938, Studied the art of Kimono Sewing at “Fujii Kimono Sewing Company”. 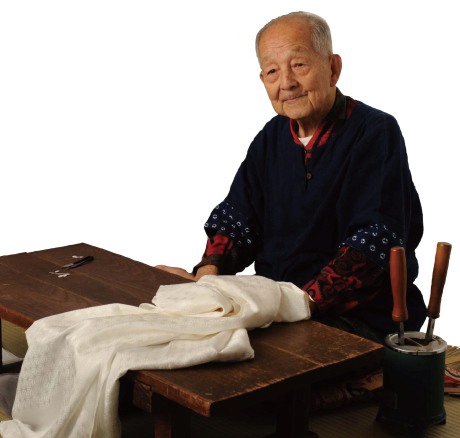 1939, Jan, Established his own sewing company in “Azabu”, the center of Tokyo. After the World War II, he opened a new office at “Kyodo” in Tokyo. Not only was he the member of Kimono Committee in Tokyo, but also the Examiner of the Kimono Sewing National Tests. He not only provided the Kimonos to the royal families, but also made the Special Kimono to Mr Roschild, well known businessman in England. Also, he made the Kimono to Famous Sumo Champion “Futabayama”, “First Generation of Wakanohana”, “Nosirogata”, “Tochinishiki” .. Kabuki Prayers, Movie stars, etc. Also he provided the special Kimono which the Emperor presented to Mikasanomiya emperor family for his contribution to the country. During the Edo Time Period, this special hemp called “Asa” represented strong growth and power No insect can be penetrate this fabric. With this special concept, the design was introduced. Asa（Hemp) design presents healthy growth and guards against illness. Parents wishes and intentions are considered. This is the unique importance of this special gift to the baby from it’s parents. The backside of the body is the key location for the protection from the evil. With this back sewing design, people believe in the protection from the evil. It was always my dream since a young age to see my baby wearing this beautiful. Today, my dream came true. My baby looked like a shining, brilliant angel in this traditional white Ubugi. Words cannot describe my happiness during that moment. 6-4-14-502 Shibuya, Yamato-City, Kanagawa Japan.